2. Hatshepsut was the longest reigning female pharaoh in Kemet, ruling for more than 20 years. She is considered one of Kemet’s most successful pharaohs. 3. The only child born to the King Thutmose I by his principal wife and queen, Ahmose. After the death of her father at age 12, Hatshepsut married her half-brother Thutmose II in 1615 BC who reigned for 15 years. 4. During their marriage, Hatshepsut and Thutmose II were not able to produce a male heir but had a daughter named Neferure. 5. Thutmose II died after a 15 year reign, making Hatshepsut a widow before the age of 30. The throne fell to Thutmose III, a step-son and nephew of Hatshepsut. As Thutmose III was a child and unable to rule Kemet, Hatshepsut served as regent for three years until she proclaimed herself Pharaoh. 6. Hatshepsut dressed as a king, even wearing a false beard. She began having herself depicted in the traditional king’s shendyt kilt and crown, along with a fake beard and male body as a way of asserting her authority. 8. Under Hatshepsut’s reign, Egypt prospered. Unlike other rulers in her dynasty, she was more interested in ensuring economic prosperity and building and restoring monuments throughout Kemet and Nubia than in conquering new lands. 9. Hatshepsut built two obelisks, cut at the Ancient Granite quarry in Aswan and transported them to Karnak Temple. One of the obelisks still stands today. 10. Hatshepsut ordered three more Obelisks to celebrate her 16th year as Pharaoh but one of them cracked during construction. The Unfinished Obelisk would have been 42m in length. 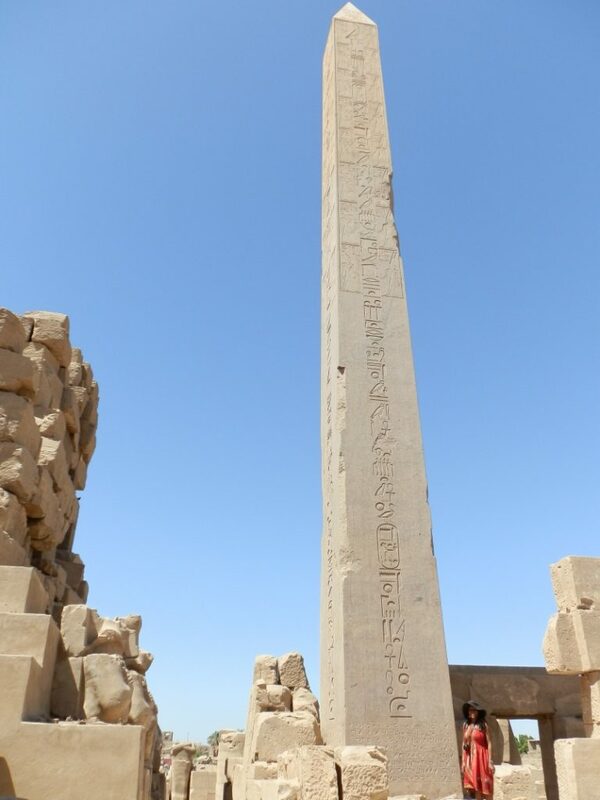 Had this obelisk been completed, it would have been the heaviest obelisk ever cut in Kemet, weighing nearly 1100 tons! 11. Hatshepsut built the Mortuary temple at Deir el Bahri called Djeser-Djeseru (“holiest of holy places”), which was dedicated to Amen, Anubis and Hathor. It was built at the site of an even older temple – Mentuhotep I’s mortuary temple from the 11th Dynasty. 12. 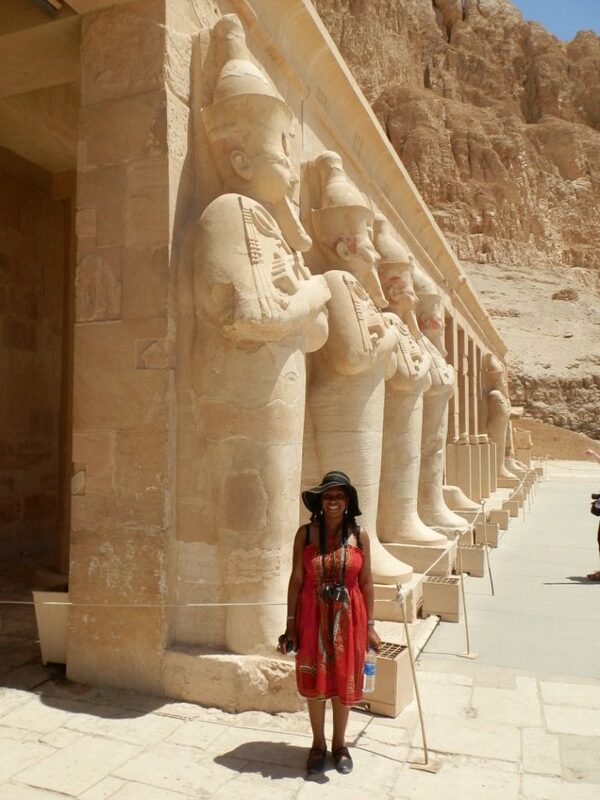 Hatshepsut had one notable trading expedition to the land of Punt in the ninth year of her reign. Punt is believed to lie in north eastern Africa, somewhere in the area of Eritrea, Ethiopia and southern Sudan or in present day Somalia. Punt was a land rich in products Kemetians desired such as myrrh, frankincense, woods, sweet-smelling resin, ivory, spices, gold, ebony, ivory and aromatic trees. Scenes of this expedition can be seen at her Mortuary temple Djeser-Djeseru at Deir el Bahri. 13. One of Hatshepsut’s most important advisors was Senenmut. He had been among the queen’s servants and rose with her in power. Some speculate he was her lover as well. 14. Hatshepsut died circa 1600 B.C. In 2007, researchers announced that Hatshepsut’s mummy had been identified in tomb KV60A in the Valley of the Kings. The mummy shows signs of arthritis, many dental cavities and root inflammation, diabetes and bone cancer. She was just over 5 feet tall and was obese. 15. Hatshepsut’s successor Thutmose III became the greatest of all Pharaohs due to his military campaigns to establish Kemetian rule of Syria and Palestine. After Hatshepsut’s death, Thutmose III destroyed or defaced her monuments, erased many of her inscriptions and constructed a wall around her obelisks.